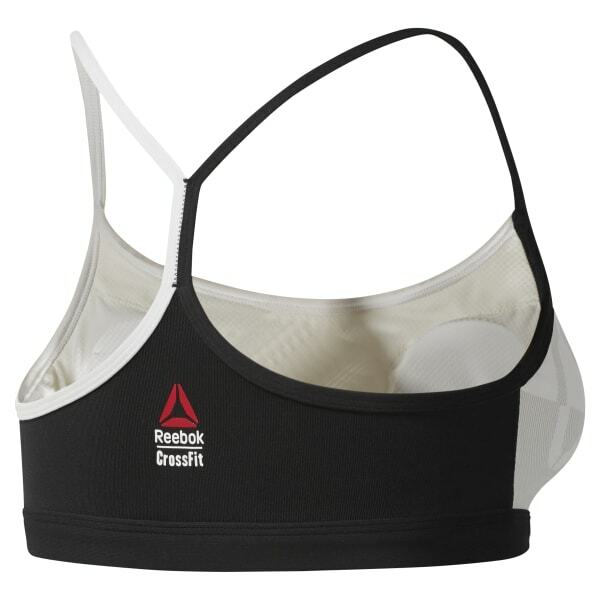 This medium-impact bra supports your WOD. Stay dry as the Speedwick technology wicks away moisture. Skinny straps stretch and self adjust for wider shoulders, and removable pads enhance shape. The subtle graphic reminds you that this piece belongs to the dedicated sport of CrossFit.